The Michelle M. Williams Law Firm PLLC, is a civil law firm owned by Michelle M. Williams, who is an attorney servicing the Dallas, Texas and surrounding area, with experience in divorce and family law related litigation. Michelle M. Williams can help with divorce, child custody, child support, family mediation and other family law related issues.
. Attorney Michelle Williams takes her responsibilities very serious and invests all of her time and energy into her clients. When you retain Michelle’s family law services, you get devoted, individualized, and careful attention to your case. You won’t be disappointed in the amount of attention, care, and concern Michelle shows you and your family members, in your time of need. 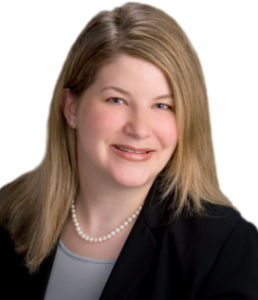 Attorney Michelle M. Williams is a member of the State Bar of Texas, State Bar of Texas Family Law Section, Dallas Bar Association, Dallas Bar Association Family Law Section, and a volunteer mediator for the Dallas County Dispute Resolution Center, and has completed the “Basic Training in Collaborative Practice”, making Michelle even more qualified to handle your needs. Attorney Michelle M. Williams is pleased to offer a Free Divorce Consultation to all new divorce clients. Call Attorney Michelle M. Williams today at (214) 748-9800 for a Free Divorce Consultation. Michelle Williams is a family law attorney servicing the following Areas: Collin, Dallas, Denton, Ellis, & Tarrant Counties.